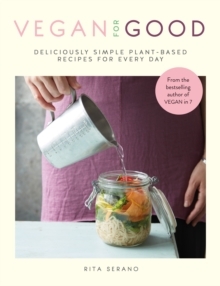 Healthy vegan recipes with 7 ingredients or fewer; can it be true? Yes! Being a vegan can be easy, fun and totally delicious. 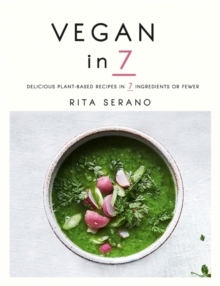 With more than 20 years' experience in plant-based cooking, Rita Serano shows how cooking vegan doesn't have to be complicated. She offers nourishing and delicious recipes with not a single fake overprocessed vegan burger in sight. Plus, all her recipes are low-fat and free from refined sugars. With chapters broken into Start, Fast, Fresh, Nourishing, Gather, Sweets and Basics, including recipes for nut milk and vegetable broth if you want to take it a step further, Rita eschews obscure ingredients in favour of natural, seasonal and organic produce. So ditch premade processed products and cook healthy vegan food at home.